Project Moshen is Philadelphia's only all-female dance company, and continues to set the standard for jazz dance in their performances, community outreach, and mission to empower women through dance. Founded in 2010, Project Moshen Dance Company entertains audiences of all ages & backgrounds with modern day shows that intrigue, excite & captivate the recreational dance viewer, along with the seasoned dancer. Artistic Director Kelli Moshen (B.F.A. University of the Arts) uses her unique athletic, urban, intricate, & up-tempo movement style to keep her audience on the edge of their seats at all times. In addition to being active performers, Project Moshen Dance Company works to revive jazz in the Philadelphia dance community by regularly teaching dance at local studios, universities (such as Villanova University), and holding master classes & workshops all over the Philadelphia region. By teaching dance, ProMo company members are able to continually refine their art, which helps bring a cutting-edge style to their audience. Teaching dance classes also allows Project Moshen dancers to be role models to young female dancers, and make an impact across Pennsylvania & New Jersey. Project Moshen provides their own summer dance program, CAMPS IN MOSHEN, where they visit overnight camps to train dancers who are away for the summer. Professional Festivals such as the Come Together Dance Festival produced by Koresh Dance Company, Dumbo Dance Festival, & APAP in NYC. Special events for the Philadelphia Phillies, the Philadelphia Flower Show, Harley Davidson, and others. Charitable events for organizations such as the Morris Animal Refuge & the National Ovarian Cancer Coalition. 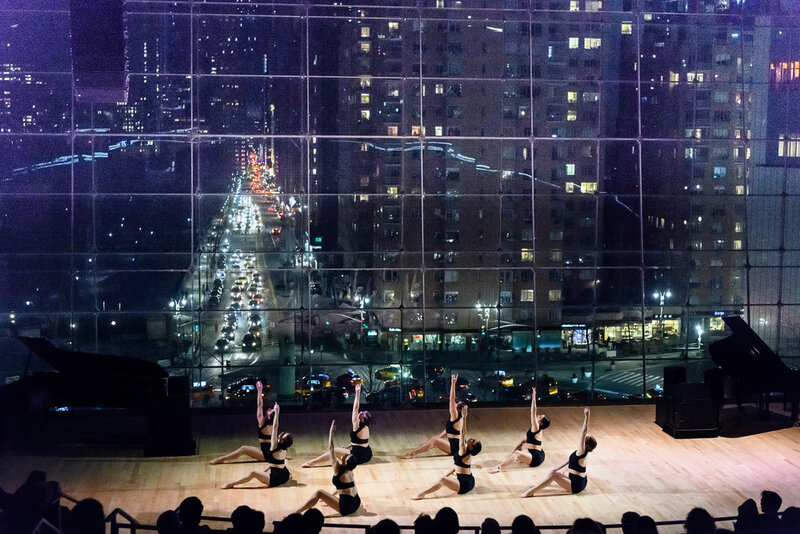 Through these efforts, along with their enthralling performances, Project Moshen Dance Company hopes to spread their passion, creativity, strength & knowledge of jazz dance to the Philadelphia dance community, while inspiring young women everywhere. Kelli Moshen, Director/Choreographer of Project Moshen Dance Co., is also a dance instructor at the Institute of Dance Artistry, Former teach at Koresh School of Dance, Millennium Dance Complex, Philadelphia, Rock School Summer master classes. Kelli is also a Barre instructor at various gyms such as The Sporting Club at the Bellevue. Since receiving her BFA in jazz dance from the University of the Arts, she has performed in various Philly Fringe Festivals, Koresh Showcases, the “Come Together” dance festival produced by Koresh Dance Company, Dumbo Dance Festival Brooklyn, APAP, and IDA Generations Concerts at Montgomery County Community College. Kelli has worked with acclaimed choreographers such as Rennie Harris, Ronen Koresh, Scott Jovovich, Crystal Fraizer and Samuel Reyes. Besides running her own company, Kelli works for Events Beyond Expectations (EBE) as a Master of Ceremonies/dancer performing at Bar/Bat Mitzvahs, corporate events, galas and more. Kelli is also involved in the business aspects of dance. She has worked for McDonald Selznick Associates (MSA) a prominent Dance Agency in New York City and Los Angeles and Broadway Dance Center where her experience has taught her how operate her own company and teach in the professional dance world. Kelli’s love for performing has not only inspired her students but her colleagues as well. Kelli continues to broaden her dance technique by traveling to NY and LA to train. She is very excited to be in her 6th year directing Project Moshen and working with such smart, talented dancers.